The broadest and most prevalent error requires the most disinterested virtue to sustain it. The slight reproach to which the virtue of patriotism is commonly liable, the noble are most likely to incur. Those who, while they disapprove of the character and measures of a government, yield to it their allegiance and support are undoubtedly its most conscientious supporters, and so frequently the most serious obstacles to reform. Some are petitioning the State to dissolve the Union,(1) to disregard the requisitions of the President. Why do they not dissolve it themselves — the union between themselves and the State — and refuse to pay their quota into its treasury? Do not they stand in the same relation to the State, that the State does to the Union? And have not the same reasons prevented the State from resisting the Union, which have prevented them from resisting the State? How can a man be satisfied to entertain an opinion merely, and enjoy it? Is there any enjoyment in it, if his opinion is that he is aggrieved? If you are cheated out of a single dollar by your neighbor, you do not rest satisfied with knowing that you are cheated, or with saying that you are cheated, or even with petitioning him to pay you your due; but you take effectual steps at once to obtain the full amount, and see that you are never cheated again. Action from principle — the perception and the performance of right — changes things and relations; it is essentially revolutionary, and does not consist wholly with anything which was. It not only divides states and churches, it divides families; ay, it divides the individual, separating the diabolical in him from the divine. Unjust laws exist; shall we be content to obey them, or shall we endeavor to amend them, and obey them until we have succeeded, or shall we transgress them at once? Men generally, under such a government as this, think that they ought to wait until they have persuaded the majority to alter them. They think that, if they should resist, the remedy would be worse than the evil. But it is the fault of the government itself that the remedy is worse than the evil. It makes it worse. Why is it not more apt to anticipate and provide for reform? Why does it not cherish its wise minority? Why does it cry and resist before it is hurt? Why does it not encourage its citizens to be on the alert to point out its faults, and do better than it would have them? Why does it always crucify Christ, and excommunicate Copernicus (2) and Luther,(3) and pronounce Washington and Franklin rebels? If the injustice is part of the necessary friction of the machine of government, let it go, let it go; perchance it will wear smooth — certainly the machine will wear out. If the injustice has a spring, or a pulley, or a rope, or a crank, exclusively for itself, then perhaps you may consider whether the remedy will not be worse than the evil; but if it is of such a nature that it requires you to be the agent of injustice to another, then, I say, break the law. Let your life be a counter friction to stop the machine. What I have to do is to see, at any rate, that I do not lend myself to the wrong which I condemn. As for adopting the ways which the State has provided for remedying the evil, I know not of such ways. They take too much time, and a man’s life will be gone. I have other affairs to attend to. I came into this world, not chiefly to make this a good place to live in, but to live in it, be it good or bad. A man has not everything to do, but something; and because he cannot do everything, it is not necessary that he should do something wrong. It is not my business to be petitioning the Governor or the Legislature any more than it is theirs to petition me; and if they should not hear my petition, what should I do then? But in this case the State has provided no way; its very Constitution is the evil. This may seem to be harsh and stubborn and unconciliatory; but it is to treat with the utmost kindness and consideration the only spirit that can appreciate or deserves it. So is an change for the better, like birth and death which convulse the body. I meet this American government, or its representative, the State government, directly, and face to face, once a year — no more — in the person of its tax-gatherer;(4) this is the only mode in which a man situated as I am necessarily meets it; and it then says distinctly, Recognize me; and the simplest, the most effectual, and, in the present posture of affairs, the indispensablest mode of treating with it on this head, of expressing your little satisfaction with and love for it, is to deny it then. My civil neighbor, the tax-gatherer, is the very man I have to deal with — for it is, after all, with men and not with parchment that I quarrel — and he has voluntarily chosen to be an agent of the government. How shall he ever know well what he is and does as an officer of the government, or as a man, until he is obliged to consider whether he shall treat me, his neighbor, for whom he has respect, as a neighbor and well-disposed man, or as a maniac and disturber of the peace, and see if he can get over this obstruction to his neighborliness without a ruder and more impetuous thought or speech corresponding with his action? I know this well, that if one thousand, if one hundred, if ten men whom I could name — if ten honest men only — ay, if one HONEST man, in this State of Massachusetts, ceasing to hold slaves, were actually to withdraw from this copartnership, and be locked up in the county jail therefor, it would be the abolition of slavery in America. For it matters not how small the beginning may seem to be: what is once well done is done forever. But we love better to talk about it: that we say is our mission. Reform keeps many scores of newspapers in its service, but not one man. If my esteemed neighbor, the State’s ambassador,(5) who will devote his days to the settlement of the question of human rights in the Council Chamber, instead of being threatened with the prisons of Carolina, were to sit down the prisoner of Massachusetts, that State which is so anxious to foist the sin of slavery upon her sister — though at present she can discover only an act of inhospitality to be the ground of a quarrel with her — the Legislature would not wholly waive the subject the following winter. Under a government which imprisons any unjustly, the true place for a just man is also a prison. The proper place to-day, the only place which Massachusetts has provided for her freer and less desponding spirits, is in her prisons, to be put out and locked out of the State by her own act, as they have already put themselves out by their principles. It is there that the fugitive slave, and the Mexican prisoner on parole, and the Indian come to plead the wrongs of his race, should find them; on that separate, but more free and honorable ground, where the State places those who are not with her, but against her — the only house in a slave State in which a free man can abide with honor. If any think that their influence would be lost there, and their voices no longer afflict the ear of the State, that they would not be as an enemy within its walls, they do not know by how much truth is stronger than error, nor how much more eloquently and effectively he can combat injustice who has experienced a little in his own person. Cast your whole vote, not a strip of paper merely, but your whole influence. A minority is powerless while it conforms to the majority; it is not even a minority then; but it is irresistible when it clogs by its whole weight. If the alternative is to keep all just men in prison, or give up war and slavery, the State will not hesitate which to choose. If a thousand men were not to pay their tax-bills this year, that would not be a violent and bloody measure, as it would be to pay them, and enable the State to commit violence and shed innocent blood. This is, in fact, the definition of a peaceable revolution, if any such is possible. If the tax-gatherer, or any other public officer, asks me, as one has done, “But what shall I do?” my answer is, “If you really wish to do anything, resign your office.” When the subject has refused allegiance, and the officer has resigned his office, then the revolution is accomplished. But even suppose blood should flow. Is there not a sort of blood shed when the conscience is wounded? Through this wound a man’s real manhood and immortality flow out, and he bleeds to an everlasting death. I see this blood flowing now. I have contemplated the imprisonment of the offender, rather than the seizure of his goods — though both will serve the same purpose — because they who assert the purest right, and consequently are most dangerous to a corrupt State, commonly have not spent much time in accumulating property. To such the State renders comparatively small service, and a slight tax is wont to appear exorbitant, particularly if they are obliged to earn it by special labor with their hands. If there were one who lived wholly without the use of money, the State itself would hesitate to demand it of him. But the rich man — not to make any invidious comparison — is always sold to the institution which makes him rich. Absolutely speaking, the more money, the less virtue; for money comes between a man and his objects, and obtains them for him; and it was certainly no great virtue to obtain it. It puts to rest many questions which he would otherwise be taxed to answer; while the only new question which it puts is the hard but superfluous one, how to spend it. Thus his moral ground is taken from under his feet. The opportunities of living are diminished in proportion as what are called the “means” are increased. The best thing a man can do for his culture when he is rich is to endeavor to carry out those schemes which he entertained when he was poor. Christ answered the Herodians according to their condition. “Show me the tribute-money,” said he; — and one took a penny out of his pocket; — if you use money which has the image of Cæsar on it, and which he has made current and valuable, that is, if you are men of the State, and gladly enjoy the advantages of Cæsar’s government, then pay him back some of his own when he demands it; “Render therefore to Cæsar that which is Cæsar’s, and to God those things which are God’s”(6) — leaving them no wiser than before as to which was which; for they did not wish to know. When I converse with the freest of my neighbors, I perceive that, whatever they may say about the magnitude and seriousness of the question, and their regard for the public tranquillity, the long and the short of the matter is, that they cannot spare the protection of the existing government, and they dread the consequences to their property and families of disobedience to it. For my own part, I should not like to think that I ever rely on the protection of the State. But, if I deny the authority of the State when it presents its tax-bill, it will soon take and waste all my property, and so harass me and my children without end. This is hard. This makes it impossible for a man to live honestly, and at the same time comfortably in outward respects. It will not be worth the while to accumulate property; that would be sure to go again. You must hire or squat somewhere, and raise but a small crop, and eat that soon. You must live within yourself, and depend upon yourself always tucked up and ready for a start, and not have many affairs. A man may grow rich in Turkey even, if he will be in all respects a good subject of the Turkish government. Confucius said, “If a state is governed by the principles of reason, poverty and misery are subjects of shame;(7) if a state is not governed by the principles of reason, riches and honors are the subjects of shame.” No: until I want the protection of Massachusetts to be extended to me in some distant Southern port, where my liberty is endangered, or until I am bent solely on building up an estate at home by peaceful enterprise, I can afford to refuse allegiance to Massachusetts, and her right to my property and life. It costs me less in every sense to incur the penalty of disobedience to the State than it would to obey. I should feel as if I were worth less in that case. Some years ago, the State met me in behalf of the Church, and commanded me to pay a certain sum toward the support of a clergyman whose preaching my father attended, but never I myself. “Pay,” it said, “or be locked up in the jail.” I declined to pay. But, unfortunately, another man saw fit to pay it. I did not see why the schoolmaster should be taxed to support the priest, and not the priest the schoolmaster: for I was not the State’s schoolmaster, but I supported myself by voluntary subscription. I did not see why the lyceum (8) should not present its tax-bill, and have the State to back its demand, as well as the Church. 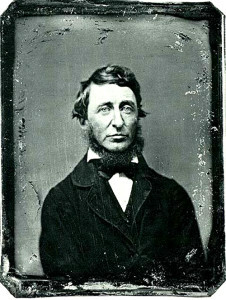 However, at the request of the selectmen, I condescended to make some such statement as this in writing: — “Know all men by these presents, that I, Henry Thoreau, do not wish to be regarded as a member of any incorporated society which I have not joined.” This I gave to the town clerk; and he has it. The State, having thus learned that I did not wish to be regarded as a member of that church, has never made a like demand on me since; though it said that it must adhere to its original presumption that time. If I had known how to name them, I should then have signed off in detail from all the societies which I never signed on to; but I did not know where to find a complete list. Thus the State never intentionally confronts a man’s sense, intellectual or moral, but only his body, his senses. It is not armed with superior wit or honesty, but with superior physical strength. I was not born to be forced. I will breathe after my own fashion. Let us see who is the strongest. What force has a multitude? They only can force me who obey a higher law than I. They force me to become like themselves. I do not hear of men being forced to have this way or that by masses of men. What sort of life were that to live? When I meet a government which says to me, “Your money or your life,” why should I be in haste to give it my money? It may be in a great strait, and not know what to do: I cannot help that. It must help itself; do as I do. It is not worth the while to snivel about it. I am not responsible for the successful working of the machinery of society. I am not the son of the engineer. I perceive that, when an acorn and a chestnut fall side by side, the one does not remain inert to make way for the other, but both obey their own laws, and spring and grow and flourish as best they can, till one, perchance, overshadows and destroys the other. If a plant cannot live according to its nature, it dies; and so a man. 1. “No Union with Slaveholders” had become an abolitionist slogan. 2. Nicolas Copernicas (1473-1543) Polish founder of modern astronomy; his work On the Revolutions was dedicated to Pope Paul III and published in 1543, and he was was not excomunicated. 3. Martin Luther (1483-1546) German monk and Protestant Reformation leader. 4. Sam Staples, local constable and tax collector in Concord. 5. Samuel Hoar (1778-1856) of Concord, sent by Mass. legislature to S. Carolina to protest the impoundment of free black sailors, and was forced to leave. 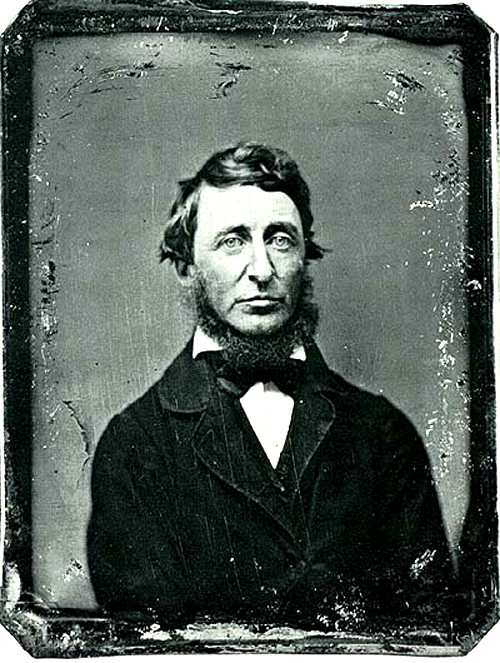 His daughter was a close friend of the Emersons and a childhood friend of Thoreau. 8. A hall where public lectures are held.